Few books have had such an impact as Wild Swans: a popular bestseller which has sold more than 13 million copies and a critically acclaimed history of China; a tragic tale of nightmarish cruelty and an uplifting story of bravery and survival. Through the story of three generations of women in her own family - the grandmother given to the warlord as a concubine, the Communist mother and the daughter herself - Jung Chang reveals the epic history of China's twentieth century. Breathtaking in its scope, unforgettable in its descriptions, this is a masterpiece which is extraordinary in every way. Jung Chang was born in Yibin, Sichuan Province, China, in 1952. She was briefly a Red Guard at the age of fourteen, and then a peasant, a `barefoot doctor', a steelworker and an electrician. She came to Britain in 1978, and in 1982 became the first person from the People's Republic of China to receive a doctorate from a British university. 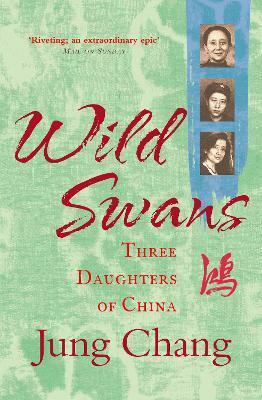 `Wild Swans' won the 1992 NCR Book Award and the 1993 British Book of the Year. She lives in London.